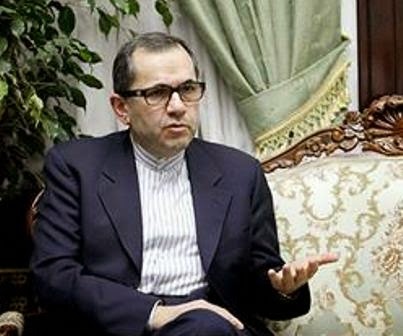 Iranian Deputy Foreign Minister Majid Takhte-Ravanchi and Irish Minister for Agriculture, Food, the Marine & Defense Simon Coveney, on Wednesday held talks on ways to develop economic cooperation and commerce. The Irish minister said that Ireland is willing to expand relations with Iran, emphasizing that improved economic ties should have a high priority. Takhte-Ravanchi is currently on a visit to Dublin to meet senior Irish officials. He said that Iran's economic and trade capabilities and the two countries' potentials all in all call for comprehensive expansion of ties and the Islamic Republic of Iran is quite ready in that respect. The presence of Irish forces in southern parts of Lebanon in the framework of UN peacekeeping forces and exchange of views about the Middle East developments were the other issues discussed by the two officials.